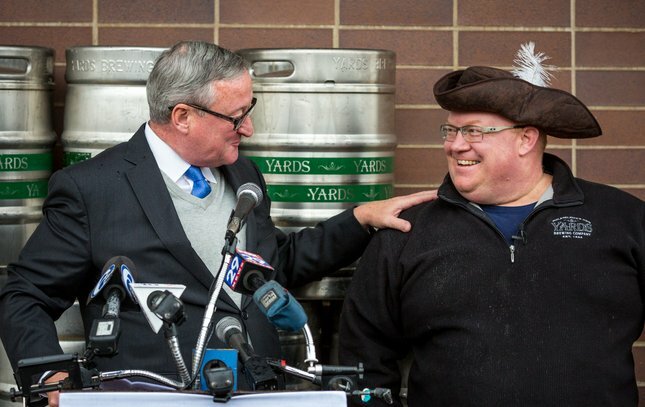 Philadelphia Mayor Jim Kenney and Yards Brewing Founder Tom Kehoe share an afternoon pint in celebration of the new location of Yards Brewing. 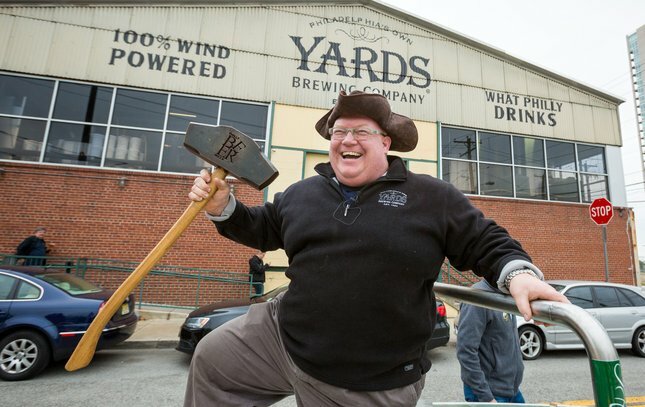 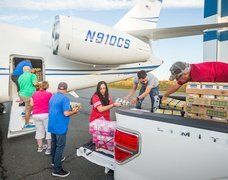 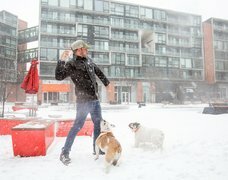 Yards Brewing Founder Tom Kehoe laughs as he loads into a boat on wheels which was used to process from the brewery's current location on North Delaware Ave. to the new location at 5th and Spring Garden streets. 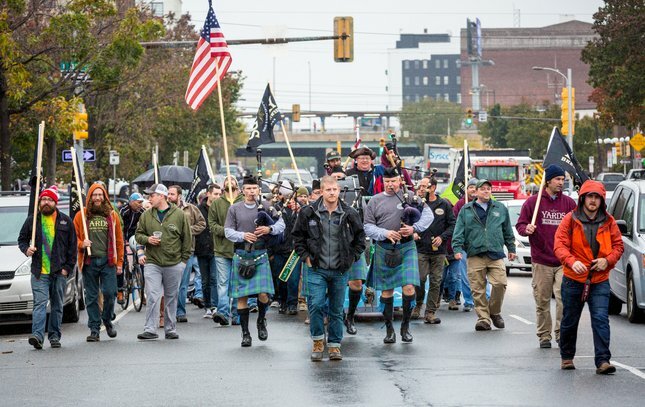 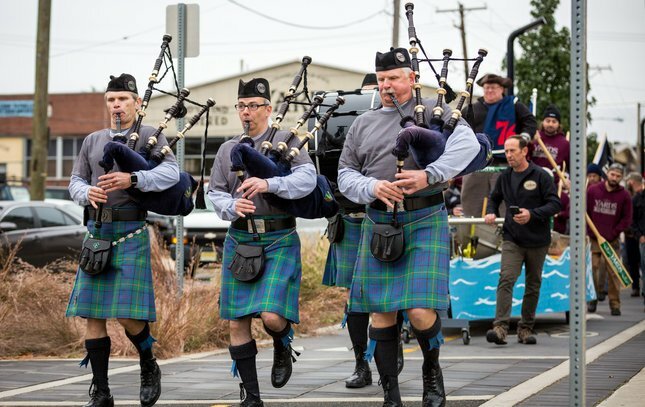 Members of New Jersey-based pipe and drum band 'Lia Fail', lead the procession from the old Yards brewery to the new location at 5th and Spring Garden streets. 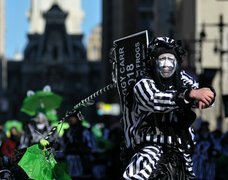 The procession took up most of Spring Garden Street on a rainy Thursday afternoon. 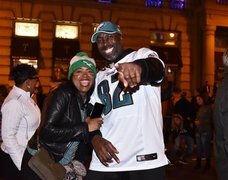 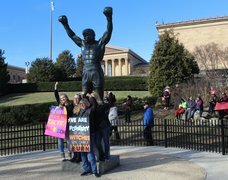 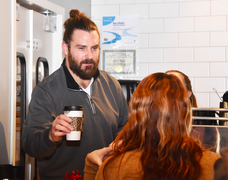 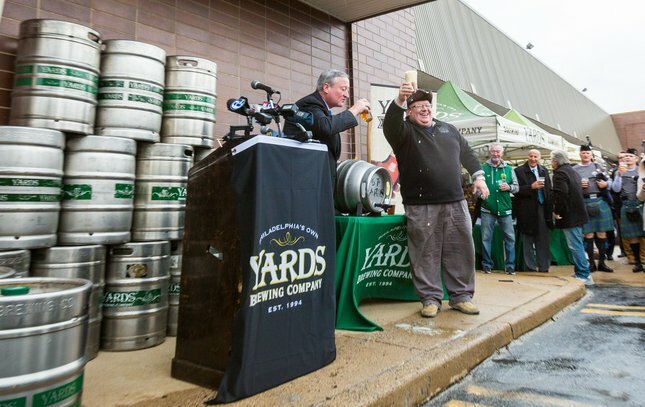 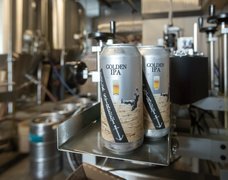 Philadelphia Mayor Jim Kenney met the procession at the new location of Yards Brewing, which will take over the former headquarters of the Destination Maternity at 456 north 5th Steet. 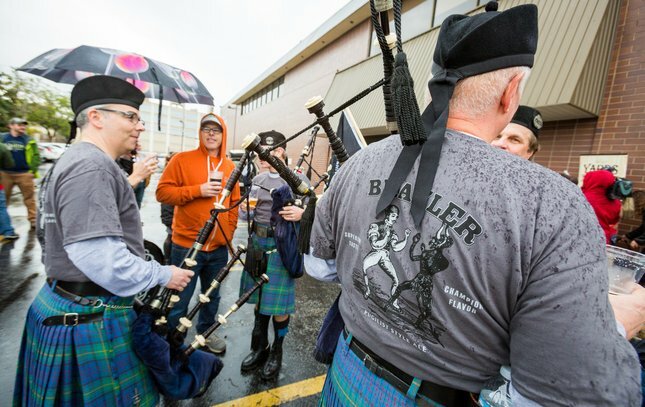 Members of New Jersey-based pipe and drum band 'Lia Fail' enjoy a pint of Yards beer after leading the procession from the old brewery on Delaware Avenue.